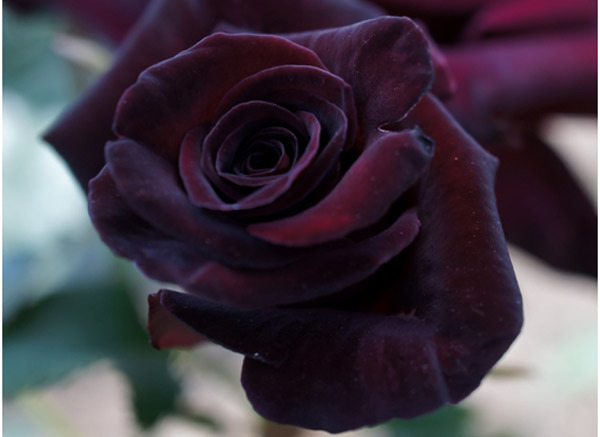 Black Baccara rose is a hybrid tea rose which is perfect for cut flower arrangements. This flower came to existence in 2005 after extensive research. The flower has no fragrance at all, but looks really very beautiful. Like other black roses, these flowers look very dark when they do not unfurl fully and take a beautiful deep red colour when they open completely. The blooms open slowly, showing a deep red colour with black shadings. As it blooms, the edges of the rose, still have a blackish tint on their petals. The dark leathery leaves are reddish when they are young and cover the bush really well. The flower appears blacker in cool weather.